Every year March 20 is observed as World Sparrow Day to raise awareness about the bird. The need for marking this day was felt due to the tremendous decrease in its population. 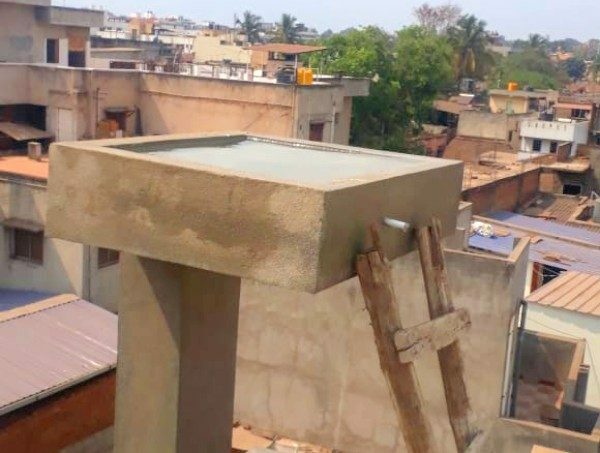 A resident of Belagavi and an active member of the Giants Main, Bhau Killekar has set an example by constructing a special tank on an elevated platform which will make it easier for the birds to quench their thirst. Many ask to put up a seed dispenser nearby and set out an earthenware bowl with drinking water. But in this case, Killekar has led by an example and showing his love for the bird has constructed this water tank. Hopefully, the sparrows and other birds such as bulbuls should come calling, especially if there are no mobile towers in the vicinity. Next articleHow to file nomination for Loksabha Parliamentary Constituency?